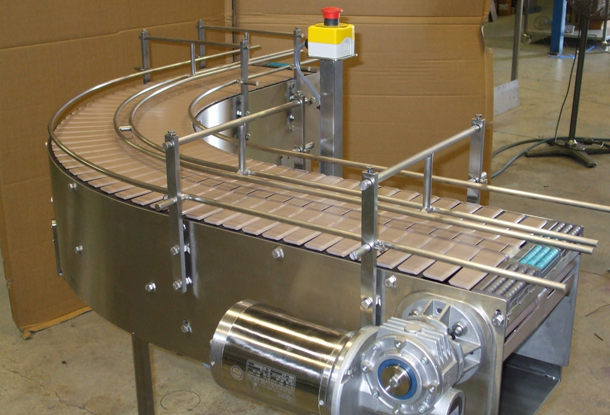 Taylor made conveyors – incorporating fully welded stainless steel design. Rotary pack off tables – to assist in the manual packing of containers. 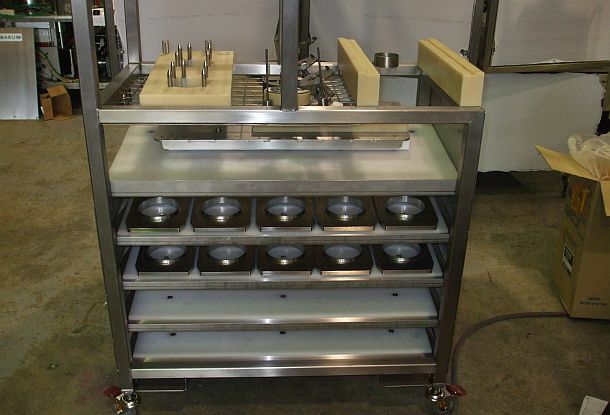 Scroll cup denester – to automatically dispense cups / tubs onto the conveyor for filling or printing etc. Hoppers/ Augers – we manufacture a full range of hoppers and augers. Modular level control equipment – to automatically start / stop any type of pump or valve to accurately control product level. Makum can also supply the following equipment. 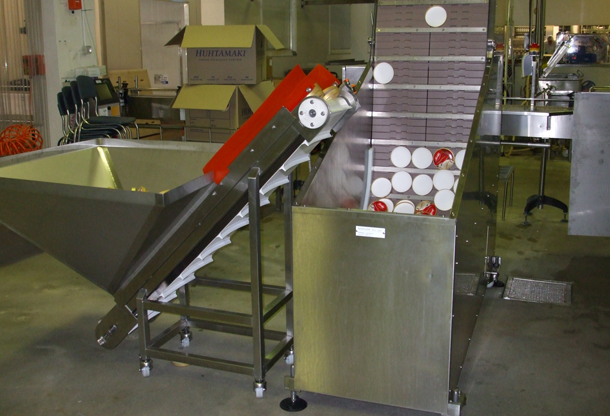 Weigh fillers – multi head weigh fillers for dry products such as nuts and dried fruits. Checkweighers – to suit your product requirements and output speeds. Metal detectors – to also suit your product requirements and output speeds. Vertical and Horizontal form fill seal machines – bag filling machines designed and built to suit your product requirements.